This year, KitchenAid is proud to celebrate 100 years of great baking. 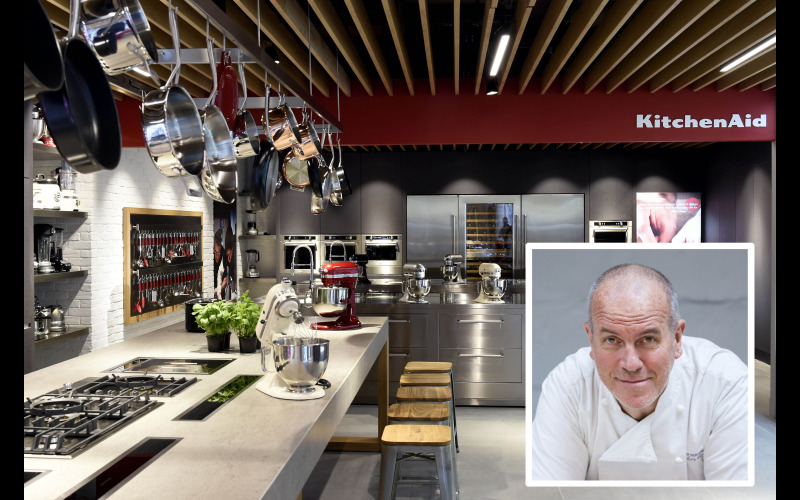 To mark the occasion they’re running a series of cookery classes at the London Experience Store headed up by some famous foodies. French baker and chef extraordinaire, Richard Bertinet, will be hosting a class on Tuesday, 25 June 2019. A fun class for food lovers of all abilities, this is a fabulous opportunity to learn how to bake breads and pastries perfectly using a variety of KitchenAid appliances including the original stand mixer, along with hobs and ovens all of which will help you create professional results. KitchenAid is thrilled to welcome Richard to the store and to offer you the chance to win a pair of tickets (FIVE pairs in total) to this unique cook-along. The session includes demonstrations and support to create your own masterpieces. Afterwards, you’ll taste the food you have prepared, with a complimentary glass of prosecco, and leave replete with a bag of goodies. Richard has over 30 years' experience as a chef, baker, teacher, consultant and writer. Originally trained as a baker in Brittany, Richard now lives in England and runs The Bertinet Kitchen Cookery School in Bath, which attracts people from all over the world to come and learn to bake and cook. The school offers a variety of classes over one, two and five days, including the new Crumb courses, teaching recipes from Richard's latest bread book which launched in February. Since the introduction of the legendary stand mixer in 1919, KitchenAid has built on the legacy of this design icon to create a stylish collection from utensils to fridge freezers, ovens and hobs, all available from the KitchenAid Experience Store at 98 Wigmore Street, London.